Effects of Transformational Leadership on Organizational Knowledge And Innovation explains that Leadership has been evoked to be a substantial factor affecting organizational knowledge and innovation. Sort of researches have exhibited that transformational leadership significantly influences organizational knowledge and innovation. Nevertheless, there is an insufficiency of studies examining the characteristics or aspects under which this effect results or is augmented. Hence, this research directed to investigate the effect of transformational leadership attributes on organizational knowledge acquisition, transform, articulate, creation and to ascertain whether this dissemination of organizational knowledge influences innovations in the organizations. Organizational knowledge is a structured fusion of skills, experiences, relational information, and a professional insight that renders a foundation for assessing and incorporating new ideas, experiences and information (Tsoukas & Vladimirou, 2002) this attitude of the organizations, tends to develop new structures, policies, services and products and it pay-dirt in bringing forward these structures, products and services to the market (Gumusluoglu & Ilsev, 2009). Transformational leadership attributes; Idealized influence, Inspirational motivation, Individual consideration and intellectual stimulation (Politis, 2002 ; Garacia – Morales et al., 2008) was hypothesized to have a positive association on organizational knowledge ; Explicit and Implicit (Smith, 2001) and organization innovations (Radical, incremental and Process).Moreover, proposed an effect of organizational knowledge on innovations. In relation to analyze these hypothesizes, data were gathered form 262 employees, management and executives of 36 private and government Pakistani organizations from services, production , IT and R&D industries. Questionnaires were utilized to collect the data comprising the measures of transformational leadership, organizational knowledge and innovation. Transformational leadership measures adopted using a Multifactor Leadership Questionnaire. Correlation analysis technique applied to determine the hypothesized effects. The results of the analysis contributed a significant relationship between transformational leadership and organizational knowledge. Intellectual stimulation showed insignificant association with tacit knowledge of the individuals in the organizations. The results of transformational leadership provided a positive influence on organizational innovation; furthermore organization knowledge also displayed a significant association with innovations of the organizations. The results of this research notably valuable for top brass management of the companies that plan to operate the companies. Transformational leadership theory is salient representative of new evolved theories that have a central position in leadership exploration in the last decade. Subordinate’s maturation as well as subordinate’s performance growth is the aim of such leadership (Dvir, Eden, Avolio, & Shamir, 2002). “Leadership” as a topic to study has been a center of the scholars for a very long time. Earliest studies targeted “Leaders” to study regarding their personality features, and considered as a trait theories of leadership. Now it is rotated towards studying behavior and attributes of leaders, and an age of behavioral theories took place with a context of leader’s interaction with others. Leadership deportment is a more familiar and renowned researched area in different field of studies. 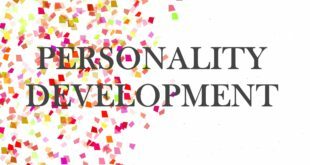 Transformational leaders, who manifest the charismatic behaviors, incite the inspirational motivation, contribute an intellectual stimulation and play an individualized consideration with the followers, and translate them to reach full level of potential and explore high positions of performance (Bass, 1990). Effect of transformational leadership has been connected to transformational leader’s capacity to inspire followers to perform more than the set projections for the performance. In previous 20 years, research of knowledge creation in the firms comes into existence as theoretical and empirical work (e.g. Nonaka et al., 1995). In this fast moving economy knowledge accepted as an important resource for the organizations. In knowledge – based perspective applying resource-based view, organizations considered “organizational knowledge” is a key to gain competitive edge (Chennamaneni, 2007) because it is intimated, a unique and non- exchangeable intangible assets. Number of applied and practical contributions resulted that leadership exhibits substantial part in knowledge processes like transforming, acquisition, sharing, creation and capturing (e.g. Politis, 2002) and productive execution of knowledge management practices for organizational knowledge (Von Krogh, Nonaka, & Rechsteiner, 2012). Organizational creation theory is a favorable framework for different reasons such as, it is widely applied in management, thoroughly covers all kind of organization knowledge processes and enable detect the area where leadership effect on knowledge creation. Von Krogh et al., (2012) explained organization knowledge is the uninterrupted process in which connect knowledge created by individual with organization’s knowledge system and transformed it in a new context, new picture of the ideas and acquired new knowledge further organization transformational leadership provide an attributable facilitation for this process. Innovation through employing creative knowledge absolute necessary for long term success and first moving advantage of the organizations as well as for powerful and developed economies of the 21st century. Leadership is among the most significant factors affecting innovation (Gumusluoglu & Ilsev, 2009). Leaders assist their subordinates to set out higher levels of creativity at job, develop a creativity supportive environment. Many studies have visualized transformational leadership positively influence the organization innovation (e.g. Jung et al., 2003). Nevertheless, there are lack the studies in which examine the contextual factors under which this impact occur. Gumusluoglu et al., (2003) snap out little about, these contextual factors like, organization externally built relationships for the aim to acquire new knowledge and resource acquisitions in the organization might be fundamental sources of organizational innovation. This study designed to widen the area of transformational leadership dimension’s relationships with organizational knowledge for enhancing the innovation capability of firms. In this present day ever-changing economy, Pakistan is the essential competitive part not local, but global in nature. If any considerable change held in the socio – politico – economic areas of the western economy, its effect also is recognized at organizational health of companies in the eastern part of the world. To sustain and strengthen the efficacy within this globalized power of economy; organizations have to mobilize organizational knowledge (Solea & Applegateb) and be creative at all individual, group, local, national and global levels of the changing world (Zhang, Tsui, & Wang, 2011) ,many organizational procedures are adopted to achieve this goal, most significant among all is leadership practices of the organizations (Singh. 2008). Transformational leadership communicate an association through supervisors and subordinates involve mutually in utilizing a combine objective in the tracks; that translate and promote their incitement, actions and other inspirations to do work (Simola, Barling, & Turner, 2010). This style of leadership has four fundamental dimensions i.e. charisma or idealized influence, inspirational motivation, intellectual stimulation and individual consideration. Gumusluoglu et al., (2003) particularized those transformational leaders by employing “charisma” instills esteem, regard, commitment and priorities the combined sense of mission. Through inspirational motivation, define the future vision and missions also articulate the “will of can do” and ways to achieve these set goals. By intellectual stimulation, invigorate followers to think problems in different perspectives, and using individual consideration leaders understand the follower’s needs, expertise and skills. In origination of working teams in production and services organizations leadership is progressively changing off from information and knowledge gatekeeping to knowledge creation and knowledge sharing (Politis, 2002) that’s lead up to creativity in the organizations (Yeh & Chen, 2012). Challenging situation for transformational leaders to emerge competency in followers by developing a mood in which acquiring, transforming, articulating, creation and sharing of organizational knowledge is encouraged. This study contributes the relationships of transformational leadership factors to organizational knowledge sharing and innovations in the firms. The intention of this study is to express and analyze a worthwhile impact of transformational leadership style on firm’s industrial information and enhancing the innovation competency. It will empower different sector of industries (Services, production, R&D, IT. Banking) to consider all facets of transformational leadership style for generating, articulating and sharing of organization knowledge in other individuals of the organization and how this dissemination, transformation and acquisition of knowledge lead organizations towards creativity, inventions and new ideas. To accomplish this goal of study following objectives have been set. Investigating “intellectual stimulation” attribute of transformational leader’s positive or negative association in sharing of individual’s tacit knowledge among other individuals and work team members in the organizations. Analyzing the “individual consideration” a dimension of transformational leader’s intimacy to translate individual tacit knowledge into explicit knowledge of employees in the firms. Analyzing the “inspirational motivational” intercorrelation in enhancing the knowledge acquisition ability of work teams and individuals. Analyzing the transformational leader’s idealized influencing behavior correlation in creation of knowledge sharing mechanism in the organization. Analyzing the effect of “Intellectual Stimulation” and “Individual Consideration” correlation in creativity of new ideas among the employees at individual and teams level with the organizations. Analyzing charismatic attribute of leading by transformational leader has positive association in enlarging the process innovations within organization. Describing the transformation and acquisition of individual tacit knowledge positively correlated with radical and incremental innovations in the companies. Expressing a positive relationship of knowledge sharing process with capability of inventions of the firms. Different studies have conducted about transformational leadership towards investigating the direct and indirect effect on organizational knowledge and innovation capabilities of the organizations, there are little studies on how transformational leaders use their attributes to articulate this organizational knowledge in the form of creativity and novice ideas. The aim of this study is to determine how transformational leaders employ their ingredients (Idealized influence, inspirational motivation, intellectual stimulation and individualized consideration) to disseminate organizational knowledge in inter – firms to enhance organizational innovations. This research contributes to transformational leadership theory by investigating the transformational leadership factors play an effect in managing organizational knowledge, and on utilizing this managed knowledge firms leads itself to creative new ideas. If company’s leadership at operational, strategic and tactical levels gets some ideas of such considerable dimensions then they could try modifying their decisions and linked accomplishment objectives to these decisions in order in a very positive way. This paper is also beneficial in a way if a firm is skillful and expert in utilizing specific dimensions, then this discussion might be facilitating in considering factors that must be developed in relation to strength the effectiveness of that important mechanism. Further study could also be done in determining other sort of innovations such as marketing, administrative etc. in relation to transformational leadership factors selections and whether these factors have a positive and negative association with the defined innovations at organization’s levels. While considering the limitations of this research time limit is big hurdle. Defined limited time, some deeper dimensions of the study will be under specified because shortage of time not let me to elaborate them in further detail as much I want and as well as they required to be discussed. Organization’s confidential policies did not allow me to get some important and private information about the organizations, which has not provided me a facilitation to discuss other important factors of the research. Some vital positions of management of the organizations not willing to participate their time for our discussions and interviews about their position’s roles for the company, which made a difficulty to collect primary data for study. Stimulation of knowledge to achieve the organizational objectives is a capacity of an organization to gain success in the change driven market (Solea & Applegateb) . Knowledge is the important part for both to develop change and for organizational procedures, which are stuck to execution of this change Eardley and Uden (2010) the source of success; organizations have to manage it, to remain competitive and successful in the markets. Jennex (2007) demonstrated knowledge is the sum of growing cognitions, experience, facts, and expertise that contribute the procedures for evaluating and assimilating new skills and new knowledge. Well-managed organizational knowledge; initiate organizations towards innovation and competition (Eardley & Uden 2010). O’Sullivan (2007) Knowledge management is a way to control cognitive strength, Eardley and Uden (2010) utilizing the resources in that way in which employees acquire, distribute and employ the information to increase their knowledge. Knowledge is the intangible asset of the organization that must to be managed in particular mechanism. 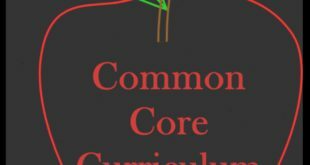 Academic scholars and practitioners also intensified their concentration toward firm’s capacity to explore, engage, create, divide and gather knowledge (Z. Wang & Wang, 2012). Knowledge sharing activities within the organizations have considered accumulating the organizational potential, as innovation, which is pivotal to organization’s performance (Z. Wang & Wang, 2012). Liu and Phillips (2011) Some empirical studies also examined the knowledge sharing relationship with organizational innovativeness in an ample framework. Organizations think to bring new ideas in the market, creation of these ideas require a confinement of “creative processes” in the organizations ultimately that lead to innovation (Jully, 2003;Urab,Child,& Kagono, 1988) innovation inspire the production, when we put forward something new to our customers (Tucker, 2002; Urabe, Child, & Kagono, 1988; O’Brien & Shennan, 2009) core-expertise of an organization (Dundon, 2002 ; Drucker, 2006) a “contemporary” normally “uncommon” intensified to “change” a track differentiate the organizations (Abramson & Littman, 2002). Customers need something special which can put them a contrasting, to accomplish this organization must to give something dissimilar and unparalleled, an exceptional swap (Tucker, 2002; Robbins Stephen, 2005). Innovation is a common action, it is not limited to particular group of arrangements like “the creative class” or the persons belong to R&D sector (Fuglsang, 2008). Developing a “plan” or “idea” is the primary part of innovation and creating a new product, providing new services or management is the secondary part giving refined form to unrefined “idea” (Tucker, 2002). This demand of new products, market competition and short life cycles of products added market orientation in the objectives of innovating organizations (Kok & Biemans, 2009). Competition direct to organization for suitable procedures that can provide to its performance like innovations, culture and proper execution of these procedures (Poter, 1985). A firm’s competitive strategy is a force that facilitates it to gain competitive advantage in the market. Afterwards studies argued that peculiar assets of the firm originate it to competitive position (Zhou, Brown, & Dev, 2009). Currently organizations facing extremely competitive environment and need to bring new products in advanced shape for the customers. Worldwide competition, latest technological innovations shift shorter product life cycle and extended the need of quick and advanced production of products in markets (Carbonell & Rodriguez, 2006). Knowledge is a framed combination of experiences, cognitions, context information and expertise that give a plan to estimate and bringing out new skills and information (Breitenoder, 2009; Jennex, 2007; Ipe, 2003). In an organization context, Wang and Noe (2010) elaborated , knowledge is the pivotal organizational asset that contribute a continuous comparative advantage in the fast moving economy for the organization or Liestner (2010) interpreted, all kind of documents within the firm also belongs to term “knowledge”. The term “information” and “Knowledge” mostly in literature used similarly while some authors used these differently (Nonaka & Takeuchi, 1995). Nonaka and Takeuchi (1995) defines data is just the “flow of messages” and knowledge is generated when this move of messages become the truth and commitment of its occupant. Primarily “Knowledge” entails iteration and communication among the individuals and team members (Howell & Annansingh, 2012). Schmitz (2011) within organization, knowledge is typed in various ways “tacit knowledge” and “explicit knowledge”. Tacit knowledge or individual knowledge or embrained knowledge or procedural knowledge which cannot be transferred or demonstrate to another person in written form and instead Explicit knowledge or tangible form of knowledge is that which can be transmitted or move to other persons in specific way like procedures, documentations, policies (Yang, 2007; Scmitz, 2011) . Within organizations, knowledge occurs on various levels like individual, group, division, department and organizational levels (Ipe, 2003; David, Long & Fahey, 2000; Roos & Von Krogh, 1992) . In this study focused within the organizational level. Stock of knowledge among the individuals and groups substantial but it is also more significant to creating new knowledge and generating ideas. Generation of new knowledge can be created by scattering, interacting and disseminating the existing knowledge. “Knowledge sharing” characterize as contributing and communicating the present knowledge among the individuals and teams of organization and getting new knowledge in the organization members from external market. (Breitenoder, 2009; Liestner, 2010; Yang, 2007; Howell & Annansingh, 2012; De Vries, Van den Hooff, & de Ridder, 2006). Knowledge sharing is a way, through with organizational employees interchange and converse their knowledge, fundamentally that lead to proper application of the knowledge, innovation and competitive advantage for the organization (Z. Wang & Wang, 2012; Wang & Noe, 2010). Organization employees have the knowledge relate to their job extents that must also move to other level of individuals, groups and as a whole organization this prospective lead organization to management of knowledge (Ipe, 2003). Organizations adopt different approaches to making a managed interchange of knowledge among the employees. Exploiting the advantages of knowledge sharing organizations spend large amount of time into knowledge managing strategies considering the knowledge management practices; which facilitate in accumulating, holding and dissemination of knowledge (Wang & Noe, 2010). The procedure of innovation excessively depends upon the knowledge because knowledge expresses all kind of information, data and logics in fact provide a complete subjectivity for learning activities (Gloet & Terziovski, 2004). The management of knowledge and intellectual capital is the substantial part for all brand of businesses to explore innovations and making business strategies (Stewart & Ruckdeschel, 1998).In result large number of corporations, notably knowledge concentrated organizations, has established knowledge management system on the part to utilize knowledge resource more excellently and thoroughly (Zboralski, 2009). Du Plessis (2007) characterized “Knowledge managment” as a systemization of and a reach to skills, experience, expertise and knowledge that generate the new abilities, facilitates better performance, promote innovation and animate the customer values. Gloet and Terziovski (2004) elaborated “knowledge management” as a roof for interwoven terms like Knowledge generation, knowledge appraisal, knowledge classification, knowledge retention, dissemination and sharing. Cummings (2003) explained, knowledge management encompasses all the arrays and processes to getting maximum output from organization tacit and explicit knowledge. In general context, knowledge management embedded in how organization generate, retain and interchange knowledge (Cummings, 2003). Different knowledge management systems formulated to extracting the individual knowledge so that organizations can gain advantages from its distribution. Research supported to knowledge management by suggesting different kind of advantages achieved by the organizations from implementing knowledge management approaches. J. Yang, (2008) characterized the benefits 1. Reducing loss of intellectual knowledge in any employee leaves, 2. enhancing the job performance by recovering the knowledge, 3.enlarging the employee’s commitment and satisfaction by getting knowledge from others, 4.giving good quality product and services, deciding good decisions. Xu and Quaddus (2011) organizations develop a structure in the form of knowledge management to getting, acquiring, interchanging and communicating tacit and explicit knowledge from employees so as other organization members or employees can apply it valuably and in more productive way for their work and enhance the organization knowledge. Management of knowledge within the organization provides a better track for sharing knowledge among the employees. Knowledge sharing among the organizations for all kind of employees and work teams plays a vital role to gain competitive advantage and for each employee to become a “Knowledge worker” (Cabrera & Cabrera, 2005). Studies have shown that knowledge sharing positively effect in minimizing manufacturing costs, timely completion of new items launching projects, teamwork performance, enhancing the organization inventing potential and overall efficiency of organization also parting the growth of sale, returns from new products and services (Wang & Noe, 2010; Z. Wang & Wang, 2012). Employees in organizations inevitably create and share knowledge, so “knowledge sharing” deemed as natural activity of workplace, a part that performed automatically (Ipe, 2003). Motivation as well as organizational culture also affects the knowledge sharing. Organizational culture is one of the important factors that provide assistance or hindrance in knowledge sharing in the organizations (Suppiah & Sandhu, 2011). Within organization, “culture” entails six classifications individuals, procedures, leadership style, reward and incentive system and structure of the organization (Al-Alawi, Al-Marzooqi, & Mohammed, 2007; Gupta & Govindarajan, 2000). Suppiah and Sandhu (2011) expressed, mostly leaders acknowledge organizational culture as an obstacle in creation and sharing of knowledge, generally employees are motivated to store knowledge instead of its transformation in other organization to keep sustained competitive advantage. Nevertheless Al-Alawi et al. (2007) scholars debated that a “culture” that gives support to knowledge sharing can build up through good rewards & incentives and leadership style. In this study, focus made how leadership affects knowledge sharing. Innovativeness is the main tool for organizations strategically stepping in the new markets, to strengthen the market share and getting the competitive advantage. Highly competitive markets and fast moving technology give a motivation to companies adding values to their products and services. Literature support innovation with a sort of definitions, nevertheless most of definitions present a common insight. Occasionally innovation and invention intimate same as that it became difficult to separate one other, invention is the first happening of an idea and innovation is the try to give a shape or practice to that idea in the form of product or good (Fagerberg, Mowery, & Nelson, 2006). Organizations entail a combination of different types of abilities, expertise, skills, knowledge and resources; like knowledge about productions, different markets, skills, distribution systems and financial resources etc. (Fagerberg et al., 2006). Innovation expressed as an uncovering the new ideas, products, services, procedures and proper execution of all these concepts to get new outcomes (Andreeva & Kianto, 2011; Kamasak et al., 2010; Alegre & Chiva, 2008; Garcia-Morales, et al., 2011) (García-Morales, Jiménez-Barrionuevo, & Gutiérrez-Gutiérrez, 2011) (García-Morales, Jiménez-Barrionuevo, & Gutiérrez-Gutiérrez, 2011). Something that is generated new or enhancing the improvements by an organization to add the values directly for the organization or for its customers (Gloet & Terziovski, 2004; Hult et al., 2004) launching a new good or novel attribute of a good (Edquist et al., 2001). Alegre et al, (2008) comprehend innovation as individual and enterprise learning procedures in aim to expose new tracks to solve problems. It proceeds innovation depends on organization’s capacity to learn from new knowledge, new ideas, its sharing to others and proper implementation. Hult et al., (2004) suggested competency of organization to develop new concept, idea and product as innovativeness. Fostering innovation is generally a motivation for enhancing the firm’s performance and strength (Hult et al., 2004). Darroch et al., (2002) accounted innovation in different kinds like radical and incremental. Each type of innovation entails different capacities and resources to show any effect. Radical innovation necessitates the creation of new knowledge to make novel changes in a product’s technology and market (Un,2010; Darroch et al., 2002; Herrmann, et al., 2007) contrastingly incremental innovations or marginal innovations (Fagerberg et al., 2006) see to generation of knowledge for little changes or simple adaptations in product’s exiting technology and market (Un, 2010; Darroch et al., 2002). The main dissimilarity between radical and incremental innovations is new knowledge and technology requirement for the organization (Herrmann et al., 2007) can reflect radical innovation as technology-push innovation and incremental as market-pull innovation (Darroch et al., 2002). Radical product innovations are more uncertain and risky for the organizations because these relied on unexploited knowledge, technology, operating in unfamiliar business field and not properly expressed the customer demands (Darroch et al., 2002; Kelley, O’Connor, Neck, & peters, 2011) failure of radical product innovations led organization to falling position and disappear it from the market (Herrmann, et al., 2007) in relation incremental innovations are more parallel to customer needs (Darroch et al., 2002). Radical innovations modify the balance of power of firms in current markets and led them to the new markets. To approaching the radical innovations organizations require to think little, amount greater than the current capabilities and enhance their dynamic capabilities to support these innovations (Kelley et al., 2011). Kelley et al., (2011) described company’s dynamic capabilities as strategic procedures that convert the organizational knowledge into valuable form. Radical innovation happen through specific kind of obstinate individuals that can resistive to forces, Kelley et al,. (2011) define these individuals by naming them “radical innovation leaders”. Innovation leaders are interpreted highly knowledgeable, have ability to work under uncertain situations, and use their influence to cope opposition in their respective projects (Kelley et al., 2011). Term innovation not just relates products or processes, it also define marketing and organizational innovations. Günday et al., (2011) and Fagerberg et al., (2006) expressed innovations in different types like; generating the new products, inventing new ways to production, new measures of supply, exploration of new markets and organizing business by new tracks. International foundation for giving guidance in (EUROSTAT & Luxembourg, 2005) sorted four different kinds of innovation i.e. product innovation, process innovation, marketing innovation, and organizational innovation (Günday et al., 2011). Technological changes lead to product and process innovation. In EUROSTAT & Luxembourg (2005) expressed product innovation as introducing a new good or service that completely new and considerably improved with respect to its particulars, uses, technical specs, material wise or other basic features. Product innovation engaged in two parts first is “creativity” and other “transformation” i.e. giving a vision, conception, or generation to new idea or invention then making application of that invention to generate valuable output in the form of product (Un, 2010; Annique, 2007). Shavinina (2003) demonstrated product innovation as to made changes in the end consumer’s product and service. Product innovations gave a new market capability and change to firms, predestination of company invariably connected to this change (Herrmann, et al., 2007). Term product curtains to both good and service. Günday et al., (2011) expressed; product innovation that employ new created knowledge or techniques, or may also be the new applications based on existing knowledge and techniques. A process innovation characterized as application of the new, considerably changed production ways, and distribution methods by making technical, equipment or software changes (Günday et al., 2011; Edquist, Hommen, & Mckelvey, 2001(Shavinina, 2003)(Shavinina, 2003); Shavinina, 2003; Sisaye & Birngerg, 2012) improving the methods of producing goods and services (Fagerberg et al., 2006). Process innovation used to lessen the production or distribution unit cost, to expanding the quality of production and distribution in new developed product (EUROSTAT & Luxembourg, 2005; Fagerberg et al., 2006) also comprise the management accounting reporting and control systems (Sisaye et al,. 2012). In case of management, accounting control systems process innovation comprises incremental change strategies that in nature may be technical or administrative innovations. Sisaye et al., (2012) explained technical innovation as making enhancements in technical capabilities to collecting, processing and reporting the operating or production activities. Administrative innovations expressed as within the organization applying the new ways in recruiting the employees, allocation of resources, reward systems, and making the changes in strategic policies and organizational structure (Shavinina, 2003; Sisaye & Birngerg, 2012). Another type of innovation marketing innovation expressed by Günday et al,. (2011) executing the marketing mix tool in a new way by the organizations, enclosed to make advancements in design of product, placement, promotion and its pricing strategies (Naidoo, 2010; EUROSTAT & Luxembourg, 2005; Kotler, 2010). Marketing innovations mostly address the customer needs in better way and provide solutions relating to lesser risk product modifications, product additions and design changes (Naidoo, 2010). The intention of marketing innovation is to enhance growth of sales by segmentation of customers according to demands of customers in a better quality of products. Within organizations, new created knowledge and information processed throughout the whole company addressing it diffusion of innovation (Sisaye et al,. 2012) this diffusion give a new change to firms in the form of organizational learning. A good learning capacity of firms facilitate in best employment of innovation for competing the markets (Sisaye et al,. 2012). Long term success and competitive sustainability produced a reason for organization to be an innovative in the market (Darroch & McNaughton, 2002). Organizations adopted different procedures of proper management for organizational knowledge and intellectual capital resources, publications are started to appear that expanded different possible reasons for innovation (Darroch & McNaughton, 2002; Nonaka and Takeuchi, 1995). Innovation excessively depends on knowledge because knowledge presents a deeper picture more than just an information or data, subjectivity of knowledge give a vast support to learning (Gloet & Terziovski, 2004). Purpose of this study is to explore that product innovation and process innovation considerably depends on the sharing of existing knowledge and creation of the new knowledge in the organizations. Kamasak et al. (2010) expressed, when groups or individuals made transformation of knowledge among other groups in the organization, one-group ideas give a new appearance to other groups and vice versa. Employees within an organization seek a person, who give them motivation, provide an inspiration, explore their knowledge for better utilization and delegate a vision and passion to perform and attain the set targets by vaccinating a zest of determination and energy. Garcìa-Morales, et al., (2011) defined transformational leadership as a leadership style that strengthen the combined interest among members of the organizations, assist them in achievement of combined objectives, Berson & Avolio (2004) line up the employees, individuals with the vision, mission and combined objectives of the company . The one who employ motivation to individuals, explore more to do than their intentions and even more than the existing possibilities (Barbuto,2005; Locke, 1999). Transformational leaders enliven the followers not just to presume leader actions, but transfer a firm faith of their own talent to insight and create a progressing long-term future for the company (Daft, 2009; Simola et al., 2010; Bertocci et al., 2009) made repairs as whole policy, systematic measures and culture of the organization (Jain, 2005). Transformational leadership in a way is an amplification of “transactional leadership”; that stress a transection or swap, held among the leaders, employees and followers for specifying rewards, appraisals and incentives followers would receive on accomplishment of the objectives (Barbuto, 2005; Marturano & Gosling, 2007; Bass, Avolio, Jung & Berson, 2004) also recognized as by its major components i.e. management by exceptions active, management by exception passive and contingent rewards. (Bertocci & Bertocci, 2009; Bass et al., 1999; Bono et al., 2004; Bass & Riggio, 2006; Simola et al., 2010). Simola, Baling, and Turner (2010) characterized transactional leadership employs interchangeability benefits, with followers in psychological, political and economic ways. Barbuto (2005) expressed major types of transactional leadership in response to transformational leadership are laissez-faire, (Jain, 2005) management –by- exceptions and contingent rewards. Transformational leadership differentiated from transactional leadership by a special facet i.e. creating an innovation by acknowledging follower’s needs and practices, defining them new ways to coup up with old problems, and motivating them to eradicate status quo in the organization in response transactional leaders make clarification of tasks and role for the subordinates , provide a ground to work, initiate a balanced reward and met their needs (Daft, 2009). Marturano & Gosling (2007) and Locke (1999) expressed transformational leadership and transactional leadership is not the contrary ends of leadership style but are the two different concepts, Bertocci et al., (2009) both are revolve around the rewards and incentives for subordinates but do so by using different ways and in varied forms. In that, changed moving markets, organization’s essentials also changed, to overcome these changes two theories have surfaced; transformational leadership and transactional leadership. Both theories based upon little aspects of situational theories especially with relationship-focused leadership styles and goals- oriented behaviors, that enhance the performance of employees (Bertocci & Bertocci, 2009). Transformational leadership also has link to charismatic style of leadership ( Bertocci et al., 2009) communicated, charismatic leaders have a high quality to pursue their followers in that way, so they could perform more than the levels, and provide them a vision that can explore the hidden qualities. Later on the term, “charisma” for transformational leadership got lot of critic views as this not fulfills the compatibility with transformational ideas, then in complete range for leadership model “charisma” changed to idealized influence (Barbuto, 2005). The ingredients or key components to operationalize the transformational leadership are; idealized influence, inspirational motivation, intellectual stimulation, and individualized consideration (Barbuto, 2005; Bass & Steidlmeier, 1999; Bono & Judge, 2004; Riaz, Akram & ijaz; Bass & Riggio, 2006; Simola, Baling & Turner, 2010; Bass, Avolio, Jung & Berson, 2004; Jain, 2005). This Component leads leaders to provide eagerness, devotion, belief, loyalty for organization and trust in followers (Frazier, 2006). Gumusluoglu and Ilsev (2009) expressed; by practicing charisma leaders develop recognition, self-esteem, regard, fidelity and define a combined sense of mission for the followers (Ellis, 2007) build a trust and respect as a role model , followers intimate this role of leaders as an inspiration and achieve desired results at a greater level of performance. Jain (2005) characterized charisma as the sound enthusiastic attachment of leaders with followers. Make inciting communication with followers to rising high expectations and define substantial objectives in very clear and easy way (Frazier, 2006). Leaders use inspiration as a tool for followers to give them mirrored vision and mission, define a path to achieve mission and give a stimulation that they have ability to accomplish the objectives (Gumusluoglu et al., 2009) enhance empowerment of subordinates to cope with existing and new challenges (Ellis, 2007). Leader enhances the intellectual abilities for their subordinates to find out the solution for all kind of problems (Frazier, 2006). By intellectual stimulation, leaders define a track for subordinates, promote their interests, and help them to solve problems (Gumusluoglu et al., 2009) reinforce intellectual abilities to think personally what should be the best solutions against the problems, generate ownership to seek solutions (Ellis, 2007) building up the creativity in followers (Jain, 2005). Leaders give an individual care; attention and regard to all the followers as everyone feel I am the only particular for leader (Frazier, 2006). Utilizing individual consideration leaders fabricate a cohesive relationship among the followers; take into consideration requirements and demands of subordinates’ individually (Gumusluoglu et al,. 2009) exalt subordinate to think beyond the average performance , employ their full level of abilities (Ellis, 2007). Porter, Angle, and Allen (2003) specified, at individual level transformational leadership, modify motivational aspects of the followers for action (Jung, Chow, & Wu, 2003) identified the set of factors such as personality, technical knowledge, skills, expertise objectives and senior’s feedback style Bryman (2011) directed , transformational leaders consider individual level as a knowledge creation level. Bryman (2011) explored at individual level stage; transformational leaders rendered intellectual stimulation (define the tracks, reinforce, evoke creativity and empowerment) to subordinates to be innovative, by using “charisma” impel, motivate and encourage them to share their ideas and knowledge to others. Porter et al., (2003) manifested four fundamental effects of transformational leadership at individual level to set forward the desired tasks. First, transformational leaders give a keen awareness, importance and significance about the set goals and objectives and for related ways to reach them, at second; elevate the levels of activated needs in followers’ psyches from lower to higher orders third, mold their own self-interests for sake of group and whole organization and finally leaders pursue the favor of their vision and mission. Team develops the process to share knowledge among all the members and integrate individual level created knowledge into more cohesive form, Jung et al., (2003) elaborated this kind of knowledge such as, task structure, communication types and task autonomy Bryman (2011) conveyed, transformational leaders give a facilitation to this process and provide empowerment to groups to be innovative , solve problems and generate solutions. Created and shared knowledge at individual and group level institutionalized at organizational level Jung et al., (2003) classified organizational level factors, such as strategy, organization structure, culture, environment and available resources. Transformational leadership style based on the situational and behavior conducts with reference to relationship-oriented leadership style and charismatic leadership behavior (Bryman, 2011; Bertocci & Bertocci, 2009). Policies regarding the managing knowledge raise organization values by stimulating innovation and innovativeness. Esterhuizen, Schutte, and du Toit (2011) emphasized that knowledge is creative, exists within employees, and there must be encouragement style in the organizations for the employees to develop and share knowledge appraise them for doing so. Well-suited leadership is a very important driver to urge this process. Transformational leaders motivate organization members to think diversely, to see problem in new ways, to diagnose alternate solutions for that problems, facilitate members to express their own thoughts and ideas (Zhang, Tsui, & Wang, 2011). These styles of leadership provide ladder to members to share information and knowledge among the whole teams (Garacia-Morales, Llorens-Montes, & Verdu-Jover, 2008). Perspective of this study is to investigating influence of transformational leadership on organizational knowledge sharing i.e. Crawford (2005) explained organizational knowledge as Explicit knowledge refer to codification , documentation etc. within organization and Implicit Knowledge refer to intangible knowledge that is not easy to express and transfer, limited just to individual person. Without sharing knowledge an individual or work, teams in the organization cannot approach to cognitive resource of other members or group. . Politis (2002) proposed; tacit knowledge is also transform and learned directly as tacit knowledge through observations and practicing. Zhang, Tsui and Wang (2011) made research to influence the transformational leader on knowledge sharing. In this study Zhang et al., (2011) implied a positive relationship of transformational leadership and individual member knowledge sharing (explicit & implicit) to group members in the organization. They applied SEM model and selected population is consisted on 163 work groups and 973 group members from 12 China’s companies. In this study, we approached transformational leadership factor Intellectual stimulation plays a significant role in sharing of individual tacit knowledge. Hypothesis 1: Individual tacit knowledge sharing capacity positively correlated with intellectual stimulation behavior of transformational leadership. Hypothesis 2: Knowledge acquisition positively correlated with inspirational motivation behavior of transformational leadership. Hypothesis 3: Individualized consideration behavior of transformational leadership positively correlated with articulating tacit knowledge into explicit knowledge. In recent scenario academics and scholarly research, did heed the knowledge management; configuring its aspects such as managing intellectual capital, managing the individuals and sharing the skills, expertise and information to others (J. Yang, 2007; Singh, 2008). Crawford (2005) presented that; within an organization leaders (CEO, CFO, management etc.) leaders are the entities who launch a culture that respects the knowledge, promote its sharing and application, retains its people and construct fidelity to the organization. From that context Garcia-Morales et al., (2008) conceived transformational leadership managed the organizations using a system; based on “knowledge”, a system that facilitate in circulation of information and organizational knowledge (knowledge acquired outside of the organization or existing knowledge of the organization). Nguyen and Mohammad (2011) engaged a study investigating a positive influence of transformational leadership behavior on managing the organizational with moderating role of culture. To probe this relationship Nguyen et al,. (2011) selected a population of 1000 middle level managers from different small and medium enterprises (SMEs) of Australia. They applied a multiple regression technique to estimate the desire results. In an organization Placement of a culture that could provide a facilitation in enhancement of knowledge sharing is a sentiment that fasten to the leadership abilities (Crawford, 2005), in our study we eliminating this moderating effect of culture, derive a positive influence of “Charisma / Idealized influence ” (core competency of transformational leadership behavior) on process of knowledge sharing. De Vries, et al., (2006) defined knowledge sharing is the process through which individuals interchange their (tacit and explicit) knowledge and mutually create a new knowledge. This argument articulates the following hypothesis. Hypothesis 4: Knowledge sharing process positively correlated with idealized influence of the transformational leadership behavior. Organization Managers, CEOs and other supervision lead their followers in an inspirational and motivational ground and provide them an opportunity to create solutions more than the possibilities. Miscellaneous studies analyzed this kind of studies (e.g. Gumusluoglu, et al., 2009) gathered data from 163 employees including their 43 leaders in Turkey software development companies. They established a positive relationship between transformational leadership (owner, managers, and immediate supervisors) and individual level employee’s creativity and at organizational level innovative behavior. Another study conducted by (García-Morales, et al., 2011) in automotive and chemical sector Spanish firms. They also found a positive relationship between transformational leadership and organizational innovation. In the same way Jung, Chow and Wu (2003) presumed a direct relationship between transformational leadership and organizational innovation. Jung et al., (2003) elaborated transformational leaders provide an employee empowerment and innovative mood in the organization. They selected 32 Taiwanese electronics / telecommunication firms in support the said relationship. Within organizations, leader’s behavior occupied a much consideration I relation to their subordinates to stimulate them in generation of new ideas and its appropriate execution in the markets. De Jong and Den Hartog (2007) carried out a study to investigate leadership behaviors that provoke employees, idea generation and application behavior. To direct this investigation (De Jung et al., 2007) selected different brands of Dutch Knowledge-intensive-Service firm’s (e.g. IT/ Software designers, Consultants, Researchers, Engineers, Advertising, and Lawyers etc.) managers, entrepreneur (Owners) as a participants inventory (front-runner group) to apply Quantitative Research Technique. De Jung et al., (2007) rendered positive influence of Leaders behaviors (intellectual stimulation, Motivating & Inspiring, Planning & Organizing problem solving, clarifying roles & objectives, innovative role modeling) to generation of new ideas at individual levels. Hypothesis 5: Employee intellectual capacity to generate new idea positively correlated with intellectual stimulation at individual level. Hypothesis 6: Creativity at group level positively correlated with “individual consideration” behavior of transformational leadership. Chief executives in companies face a big challenge to stimulate innovation, selecting the right manager with right skills of leadership, charisma and determination to lead major innovations. Research gave us a credential support to define an influence of transformational leadership style on organizational innovation applying various moderating and mediating effects (climate, support for innovation, culture etc.) for innovation (Sarros, Cooper, & Santora, 2008; Eisenbeiss, Van Knippenberg, & Boerner, 2008). Sarros et al., (2008) put forward a study to establishing an indirect relationship between transformational leadership and innovation through organizational culture. They applied six factors of transformational leadership (defining vision, providing an appropriate role model, fostering the acceptance of goals individual consideration, intellectual stimulation, high performance expectations) on innovation through creating a culture support to organizational innovation. For that Sarros et al., (2008) surveyed managers as leaders of Australian Institute of Management. Applying structural equation modeling Sarros et al., (2008) developed a positive relationship between two factors of transformation leadership (defininf vision, individual consideration) and innovation. Another study conducted by Eisenbeiss et al., (2008) to developing an indirect relationship between transformational leadership and team innovation employing mediating and moderating variables (support for innovation and climate for excellence) respectively. For that study Eisenbeiss et al., (2008) selected 33 R&D teams, working in different industries (automotive, semiconductor, packaging and scientific instruments) applied aggression analysis techniques. They elaborated transformational leadership by four components idealized influence, inspirational motivation, intellectual stimulation and individual consideration. In this study Eisenbeiss et al., (2008) established a positive relationship indirectly of transformational leadership on team innovation. These studies lack direct relation of transformational leadership ingredients (charisma, inspirational motivation, intellectual stimulation, individual consideration) on organizational innovations (product, process innovation etc.). Our research focused to find out the direct relationship of transformational leadership factor “charisma” on team innovation (Findikli & Yozgat, 2012; Murphy & Ensher, 2008). Paulsen, Maldonado, Callan and Ayoko (2009) developed a positive relationship of transformational leadership’s ingredient “Charasima” on team innovation. For this study Paulsen et al., (2009) picked out largely public funded R&D organizations and use multifactor leadership questionnaire for 178 employees of 34 research teams response. Hypothesis 7: Transformational leadership factor “Charisma” positively correlated with process innovation at group level. Hypothesis 8: Transformational Leadership positively correlated with innovation at organizational level. Idea of “Organizational knowledge” affixed with the concept “Intellectual capital” to signifying the value of intangible assets of the organization and furthermore to express the idea of “value creation” and sustaining the organization performance. An organization’s overall economic, strategic and innovation performance is reliant on to what extent organization put into use the created knowledge for enhancing the value-creation activities (Harlow, 2008). Harlow (2008) explained the knowledge sharing as; creation of new knowledge, valuation knowledge from outside the firm, employing the created knowledge in policies, decision makings and processing it in products development, showing it into explicit form and transforming to other parts of the firm. Knowledge sharing is the behavior of two terms i.e. knowledge transfer and knowledge acquisition (De Vries et al., 2006) radical and incremental innovations are the two foundational innovations (Herrmann et al., 2007). Hypothesis 9: Transfer of individual tacit knowledge positively correlated with radical innovations at group level. Hypothesis 10: Acquisition of individual explicit knowledge positively correlated with incremental innovations at group level. Hypothesis 11: Innovation capability of organization positively correlated with the knowledge sharing process at organizational level. The purpose of this current study is to delineate the effect of transformational leadership on organizational knowledge among the employees and this organizational knowledge contribute employees to innovate novice ideas, structures, procedures and methods for the organization. Correlation analysis utilized to investigate association of developed hypothesis. The reason to apply correlation methodology is that, this research is of exploratory form in which we tried to explore the existence or correlation of relationships between phenomena, and if it correlates to what extent. Weather management or leading authorities in the organizations engage transformational leadership dimensions for their employees enhance their knowledge sharing opportunity with other and provide them an opportunity to think creative ideas and more than the expectations, cross – sectional descriptive field study based on adopted questionnaire conducted for association correlations. Following relationship model between transformational leadership, organizational knowledge and innovation developed. In order to reach the desired objective of the study, we distributed the transformational leadership further into its demotions i.e. idealized influence, inspirational motivation, Intellectual stimulation and individual consideration. Organizational knowledge broke into explicit knowledge, implicit knowledge, transformation and acquisition of basic knowledge (explicit & implicit), and knowledge sharing process. The third variable of this innovation divided into creativity, process innovation, incremental innovation and radical innovation. In this study, we made a positive association of transformational leadership characteristics with organizational knowledge subscales and innovation measuring scales; developed hypothesis are as follows. H1: Individual tacit knowledge sharing capacity positively correlated with intellectual stimulation behavior of transformational leadership. H2: Knowledge acquisition positively correlated with inspirational motivation behavior of transformational leadership. H3: Individualized consideration behavior of transformational leadership positively correlated with articulating tacit knowledge into explicit knowledge. H4: Knowledge sharing process positively correlated with idealized influence of the transformational leadership behavior. The figure 3 presented relationship of transformational leadership and innovation in the organizations that are linked objective of this study. H5: Employee intellectual capacity to generate new idea positively correlated with intellectual stimulation at individual level. H6: Creativity at group level positively correlated with “individual consideration” behavior of transformational leadership. H7: Transformational leadership factor “Charisma” positively correlated with process innovation at group level. H8: Transformational Leadership positively correlated with innovation at organizational level. In fig.4 summarized developed relationships between knowledge sharing and innovation among the company’s employees. H 9: Transfer of individual tacit knowledge positively correlated with radical innovations at group level. H10: Acquisition of individual explicit knowledge positively correlated with incremental innovations at group level. H11: Innovation capability of organization positively correlated with the knowledge sharing process at organizational level. 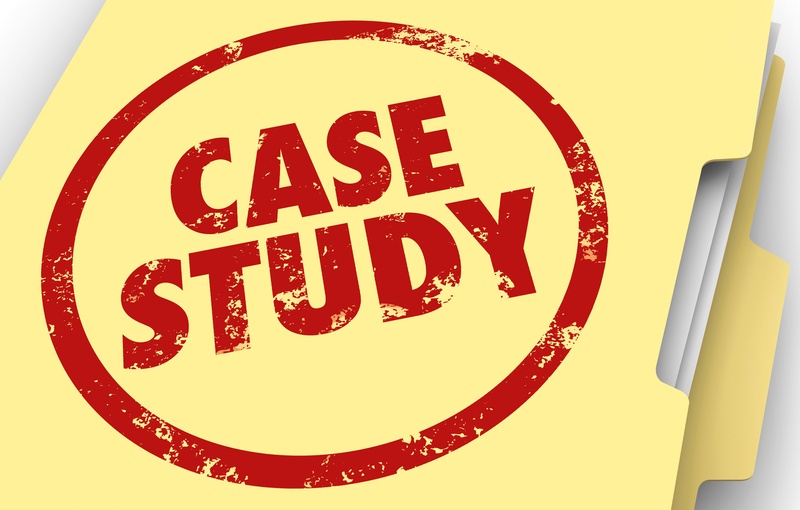 Non-probability convenience sampling was utilized for the companies. The population of this study consists of (n = 262), employees and their leaders in 36 public and private sector Pakistani firms from the services, manufacturing, banking, IT and R&D industries from different cities. 262 questionnaires are distributed among both public and private sector organizations with ratio of 10 questionnaires each organization. Managerial level executives’ uses as the key respondents for this study because management of the organizations set the policies, develops the structures, access to key information of their company, understanding with culture and company environment and lead their teams and individuals for successful accomplishments of the objectives. Junior level employees and combine working teams also considered the informants from different departments since they are very useful source to evaluate the different variables of the organization. Questionnaires sent to different company’s managers and employees from various sources. 234 purposeful questionnaires collected, 46 not responded and 28 questionnaires employed for direct discussion with company’s managers, CFO and other senior employees. Approximately 85% response rate was presented out of 308 questionnaires sent and 262 were properly filled. Survey instrument developed from thorough review of different literature. Transformational leadership style measured from five attributes i.e. idealized influence, inspirational motivation, intellectual stimulation and individual consideration using the Multifactor Leadership Questionnaire, which measures transformational, transactional and passive leadership styles. This questionnaire assists in research perspective to find out individual leadership styles. The questionnaire composed of four sections. First section assessed the leadership style of the individuals, second about finding the organizational knowledge dissemination, third for innovation capacities of the organizations. Self- rating five point likert scale (1 2 3 4 5) used for current survey. The instrument includes 60 items, four factor of transformational leadership measured by 20 item scales, organizational knowledge sharing is measured by 20 item scales (Yang, 2007; Garacia-Morales et al., 2008; Wang & Wang, 2008; Calantone et al., 2002), and innovation measured using 19 item scales (Jung, Wu, & Chow, 2008; Garacia-Morales et al., 2008; Garacial-Morales et al., 2011; Maldonado, Callan, & Ayoko, 2009; Calantone, Cavugil, & Zhao, 2002; Hermann et al., 2007). These items are as follows. I talk about my most important values and beliefs. I instill pride in others for being associated with me. I go beyond self-interest for the good of the Group. I act in ways that build others’ respect for me. I consider the moral and ethical consequences of decisions. I display a sense of power and confidence. I emphasize the importance of having a collective sense of mission. I talk optimistically about the future. I talk enthusiastically about what needs to be accomplished. I articulate a compelling vision of the future. I express confidence that goals will be achieved. I re-examine critical assumptions to question whether they are appropriate. I seek differing perspectives when solving problems. I get others to look at problems from many different angles. You share your past working experiences with your colleagues. In this organization, information sharing has increased your knowledge. Combining the knowledge amongst staff has resulted in many new ideas and solutions for this organization. Top management repeatedly emphasizes the importance of knowledge sharing in our company. This organization gives me free time to pursue creative ideas during the workday. People around here are expected to deal with problems in the same way. Organization spends money on new product or service development activities. Work team’s activities are always supportive for transforming innovative ideas. Our company is often the first to market with new products and services. To test the entire hypothesis, questionnaires answers are coded and analysed using SPSS 16.0 version software. Before applying the model we verified measures validation using frequency analysis. In this study we employed correlation analysis model to develop the relationships, taking transformational leadership ingredients as independent variables, and organizational knowledge dimension and innovation sorts as dependent variables. This model provides us a significance of the relationships expressing Pearson correlation and probability among the variables. Figure 4 displays the model and hypothesis to be associated. Some kind of personal information about the participant also include in the questionnaire such as age, gender, qualification, experience, sector and designation. This information may be providing facilitation in making comparison as per differences relating to personal working style. 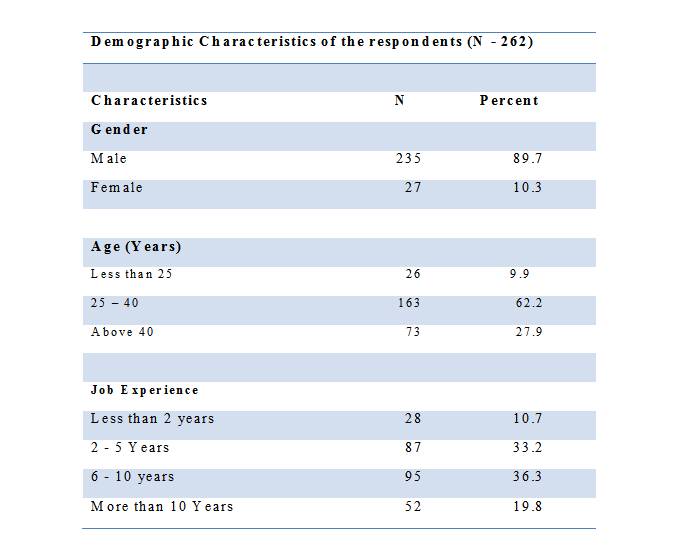 The Demographic characteristics of respondents are as follows. Male to female proportion was 9:1 presented in the table 4.1.1. They were the finance managers, audit managers, marketing managers, national sales managers, procurement officers, work teams and employees of the companies. More of the participants were male (90%), and female (10%); split into ages less than 25 years old (9.9%) between 25-40 years old (62%) and above 40 years old (28% approximately). Average age of the participants was 35 years old. Varied frequencies for experiences showed less than 2 years (11%), between 2-5 years (33%), between 6-10 years (36%), and above 10 years is 20%. The average tenure of participants for the companies is 5%. Table 4.1.6 presented frequencies about the participant’s nature of job frequencies. Relating to frame work of selection; majority of the respondents are permanent (81.7%) and 17.9% contract based. Permanent organizational members have much knowledge about company’s culture, environment, working style and management practices, as temporary or contract based members. In response to statement, “I re-examine critical assumptions to question whether they are appropriate” 80.9% respondents have shown agreed opinion, 14% viewed it natural and 5% disagreed. Transformational leaders provide a confidence to subordinates and build a trust between them by presenting a sense of identity. Analyzing this view of transformational leadership 75.5-percentage share of response of the management within organizations agreed with this item and fulfills their objectives following this style, 11.8% disagreed and 12.6 % not responded. Management involves their subordinates in problems and develops a changing awareness to solve these problems among the followers. 83% participants rate a agree response to this style of work, only 5.4% disagreed with this item scale and 12.2 % responded neutrally. Heads define a clear and inviting picture of the future to subordinates and motivate them, by employing different perspectives to achieve the set objectives. During our interviews for this item scale, 69.4% respondents agreeably accepted this proactive behavior in establishing optimistic view about the future, before the followers, approximately 8% disagreed and 22.9% provided a neutral view. Table 4.2.5 explained how much seniors, team leaders and management transfer a work association among their subordinates. In establishing a frequency about this transformation of work association 73.7 % members of the organizations given a agree response, 7.7% disagreed and only 18.7% persistent neutrally. Managers perform their assignments in a much-sustained way and develop an excitement, inspiration in the employees about the tasks. In our interviewing discussion with different organization’s managers, 80.5% agreeably accepted this trait to accomplish the tasks, only 6.1% disagreed and 13.4% established their neutral opinion. In table 4.2.7 approached about specification of tasks and importance that management build in their employees. During our discussing with the managers whether they prioritize the tasks according to their importance and role; 85.5% of managers agreeably respond to this sense of behavior, only 5.7% disagreed and 8.8% were neutral. Employees seek different kind of trainings and coaching according to the changing market conditions and other technological changes etc. interviewing this statement with managers whether they trained and spend their time individually development of the subordinates; that they seek with the market changes, 69.8% management concerns agreed with that item , 6.5% disagreed and 23.7% neutrally respond. Table 4.2.9 explained the discussion with management, whether they set aside their personal interests for the sack of organizational aims. 69.1 % agreed with this attribute, 5.7 % disagreed and 66% neutralize the statement. Supervisors assign the tasks in a group based on their talent, capability, knowledge and intention to do work, also considered their needs to fulfill the given assignment. In our discussion with the different managers, supervisors and team leaders variably respond to this statement, 67.6% participants agreed with this statement, 11.9% disagreed and 30.2% neutrally respond. When you perform your duties with the subordinates, treat them in a that way, in response they build a respect, loyalty and trust for you. Discussing about this statement 82.9% of the seniors agreeably respond about this attribute of their work, only 4.6% disagreed and 12.6% established neutral view. In most of the organizations management adopt a helping and very proactive attitude to do work with the followers, develop a confidence in their minds. All decisions that you are going to made for the organization, also took into account moral and ethical values of that decisions, with respect to future effects of the decisions. About 85.1% of the employees agreed with that item scale to seek idea for outcome determination of the decisions, 7.7% disagreed and 7.3% respond neutrally. Table 4.2.13 demonstrates the frequencies about the discussion held with the organization members, during their job the act confidently and optimistically before the followers. They display a commitment for their work. 82.8% of members agreeably accepted this attribute of demonstration for their work, 6.1% disagreed and 11.1 naturally showed their attitude. This statement characterized about organization’s management and leading roles; when they fulfill their duties properly translate the vision of tasks and define how to attain that vision in a sympathetic way. In our interview, about 74.1 % interviewees agreed with this motivational aspect of their job, 9.6% disagreed and 16.4% neutrally respond. Transformational leaders regard each subordinate as a whole individual, instead just an organization employee. He or she listen each associates need and concerns, consider the follower’s talents and knowledge to decide what duty more suitable for him or her to reach more than the expectations. Approximately 85% executive level employees agreed with consideration sense of attribute, only 4.6% disagreed and 14.9% neutrally opined. Responding to my discussion with managers about 78.6% agreed that in the organization, you choose way to approach your subordinates in which he or she can think a problem in a new, and more innovative way, articulate a capability to solve problem in various ways, 3.9% disagreed and 17.6% neutrally respond. Management runs their teams by communicating a combined vision in both economic and ideological senses so that subordinates could fulfill their tasks in more confidence and in meaningful way. Executives develop a clear depiction of good future that enhances follower’s imagination.82.4% of management members agreed with this behavior that they build confidence on both personal and subordinate’s end, 9.5% disagreed with this item scale and 8% opined it natural. Table 4.2.18 frequencies about discussion held with the executives, that they provide a proper support of work to their followers by assisting them, introducing new ways to accomplish the assignments.84.3% of the management agreed with that attribute of their duties, 8.4% disagreed and only 7.3% established neutral view. In the organization, work teams are the products of the team leaders, managers and other executives. Managers groom all their subordinates in that way in which they could perform collective and combined mission for the organization. Interviews with the management and employees give us 76.7% an agreed frame about this behavior that they follow, 11.4% disagreed and 11.5% was neural. During job when employees are in running process to fulfill the desired tasks, executives also give them an opportunity to enhance their strengths and capabilities. 83.6% of the executive brass agreed with this statement, 8.4% disagreed and only 8% neutrally opined us. 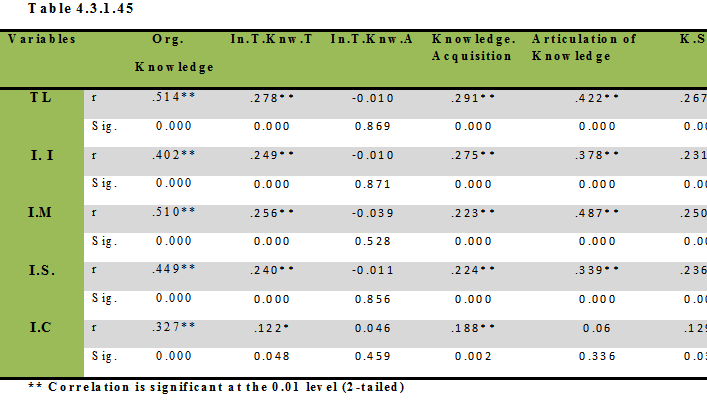 Table 4.2.21 shows the frequency of knowledge sharing among the individuals. The stated item scale in our questionnaire survey adopted to getting the result of knowledge sharing within the organizations. Organization individuals, teams and management share their different sort of experiences during the job about past career in the different organizations, 83.9% of employees agreed with this statement, 7.2% disagreed and only 8.4% was neutral. In the organization at different level of management and employees, share their knowledge with each other this knowledge may be information, an expertise, past procedure of work at any angle etc. that enhance your existing knowledge, 86.2% of the respondents agreed with this discussion 6.9% disagreed and 6.9% neutrally attributed. When a talked with employees about their knowledge enhancement, learning stages in the respective organizations, such as they strength most of their knowledge after working with colleagues, groups and in different departments , they gained sort expertise from their mates during the duties and of duties, 65.6% employees agreed with this discussions, 10.3% disagreed and 24% was neutrally respond. Table 4.2.24 results pictured the frequencies about information sharing and knowledge development in the organization. Employees during work transfer and acquire different ideas and information to do it generate new knowledge for the employees , 71.4% or the employees agreed with that statement about in their job duties, 7.3% disagreed and 21.4% neutrally respond. When acquired skills, expertise and information , employees share with each other it result new ways to do things, increase the knowledge and generate new ideas among the individuals, teams and other members of the organizations. 67.9% individuals agreed with that discussion also respond; sharing of ideas provide us more confidence to perform the duties, 24% neutral and 8% were disagreed. In this advanced and technological reign, everyday there comes a new sort of technology sophistications, new ideas generated, new policies are developed at different levels in markets. Organizations also improve and define procedure to bring their related knowledge in the organization, properly distributed the roles of employees in which they cans acquire new developer knowledge. 72.5% frequency of the employees agreed with that discussion about their enterprises, 8.8% disagreed and 18.7% neutrally opined. Organization structure provides full support to utilize new acquired knowledge in the organization in very effective way. Discussing this stance with the individuals 73.7% agreed, 4.6% disagreed and 21.8% neutrally respond. Table 4.2.28 elaborated the results about task specifications in the corporations. 50.2% of employees agreed with that item scale, 26% was neutral and 22.9% disagreed. How an individual will perform his or her tasks at work place. That work of performance cannot be easily elaborated in the written form. 46.9% of employees agreed with this statement, 28.6 disagreed and 24.4% naturally respond. Necessary projects started in the organizations to fulfill the desire objectives to future concern, proper documentations are made for these production process. Responding to this statement 30.8% of executives agreeably considered this attribute to manage documentation in the organization, 39.2% disagreed and 30.2% neutrally respond. All the existing reports and official documents in the organization shared within the department and to other department work teams.45.8percentage participants agreed with this kind of nature to do work, 27.8% disagreed and 26.3% neutrally opined. In the organization all members at all levels share their knowledge that they gained from different place of market 67.9% of employees and other executive members agreed with this statement, 4.6% disagreed and 27.5% neutrally respond. Employees of the organizations frequently collect and share their information within the department, with other teams that they gather from different sector of industries and from different professionals. 58.4% share of employees agreed with this item scale, 14.9% disagreed and 26.2% neutrally respond. Individuals when feel necessary they contribute their mistakes as an intrusion to other members of the teams 74.8% of officers agreed with this statement, 21% were neutral and 4.2% disagreed. Your organization has a specific and supportive structure of knowledge management at each level of organization i.e. unit-to-unit, team-to-team, department-to-department and division to division. 75.2% of management executives agreed with this function about their companies, 9.2% disagreed and 15.6% naturally respond. Management of that organization prominently emphasized for creation of an environment, which will be provide an opportunity to members for sharing their knowledge in the organization. 71% of employees agreed with that statement, 8.4% disagreed and 20.6% neutrally respond. Organizations during job timings of employees also emphasized them to peruse creative ideas, new ways and policies for their job enhancements. 57.2% of employees agreed with this practice in their organization, 17.5% disagreed and 24.8% neutrally respond. All team members deal the problems in a same in which they have guided. 61.4% of the employees agreed with that item scale, 12.2% disagreed and 26.3 neutrally respond. Organizations frequently introduce new products and services in the markets ad develop first mover recognition for their rivals. 74% of the organizations agreed with this statement, 11.4% disagreed and 14.5% neutrally respond. Policies and procedures that are used to introduce products and services in markets are mostly newly invented in the organization. 67.2% employees agreed with this statement for market contribution, 11.1% disagreed and 21.8% neutrally respond. Organization’s radical and incremental innovations are faster as compare to their rivals in the markets. 78.3% employees agreed and officers agreed with this statement, 3.1 disagreed and 18.7% neutrally respond. Organization promotes their product, services development, and defined a separate pool of investment to enhance their innovation capability. 76.4percentage of the organization agreed with that statement, 8% disagreed and 15.6% were neutral. Working teams perform their assignments and objectives in an innovative and changed way, also transform the creative ideas to organization. Approximately 75.5% of employees agreed with that statement, 7.6% disagreed and 16.8% naturally respond. Table 4.2.44 described the statement to make an idea about how much organizations are well- known for novice products or services in the market. 60.3% of executives agreeably accepted this statement for their organization, 16.4% disagreed and 23.3% naturally respond. The above table presented the Pearson’s Correlation among the Transformational Leadership and Knowledge Sharing variables. The results indicated that there is a significant relationship between transformational leader ship and organizational knowledge as r = 0.514 and P < 0.01. Summarized results in the table 4.3.1.45 predicted insignificant between intellectual stimulation and tacit knowledge sharing capacity of the employees in the organizations (r = -0.011, p >0.01) so we reject our hypothesis H1. The results (r = 0.223, p < 0.01) also showed positive association of inspirational motivational behavior with knowledge acquisition in the organizations. Transformational leaders provide an individual consideration to their subordinates and inspire them to articulate their existing tacit knowledge into explicit knowledge for other colleagues in the organizations but the results (i.e. r = 0.06 & p > 0.01) showed insignificant relationship between individual consideration and articulation of individual knowledge so, we reject our hypothesis H3. Idealized influence attribute of transformational leaders significant association with knowledge sharing process as (r = 0.231 & p < 0.01). In table, 4.3.2.46 demonstrated the correlation results between transformational leadership behavior and organizational innovation among the organizations. The results showed that intellectual stimulation had a significant effect on creativity at individual level (r = 0.307, p < .01). Therefor we accept our hypothesis H5. To test our six hypotheses i.e. individual consideration attribute of transformational leadership positively correlated to enhance creativity at group level in the organization of different sector (manufacturing, services). Presented results (r = 0.260, p < .01) showed a significant effect of transformational leadership on creativity at group level. “Charisma” or “Idealized Influence” attribute of transformational leadership positively correlated with process innovation in the organizations. Predicted results (r = 0.204, p< .001) supported this relationship in favor of H3. For hypothesis eight summarized results in the table 4.3.2.46 transformational leadership positively correlated with organizational innovation (r = .341, p < .001). Therefore, in current study transformational leadership has significant effect on innovation among the employees in the organization. Sharing of knowledge among the peer, mates and individuals in the organizations leads employees toward creativity. 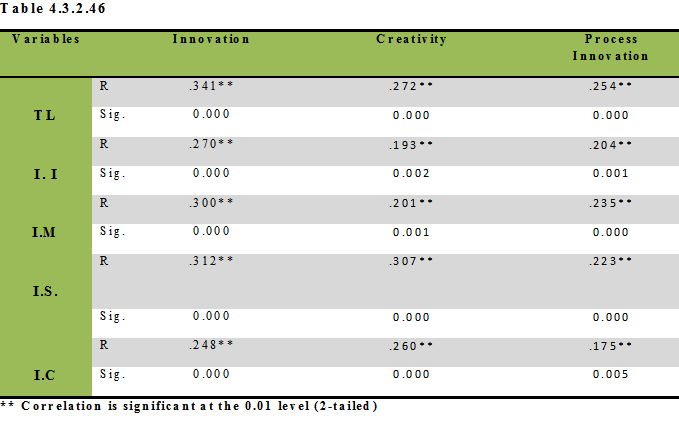 The table 4.3.3.47 summarized the results relating to developed hypothesis between knowledge sharing and innovation. Intercorrelations showed that radical innovations significantly and positively correlates with individual tacit knowledge transfer (i.e. r = .367, p < 0.01) same as individual tacit knowledge transfer positively affect the incremental innovations (r = .450, p < 0.01) in the organizations. The results for third hypothesis also presented positive and significant of Knowledge sharing process (KSP) on enhancing innovation capability (r = .325, p < 0.01). Managers encourage and utilize their teams to solve the issues according to the market condition, define them, different ways to seek out best solution for the organization. This research has tested the direct effect of transformational leadership attributes on organizational knowledge and innovation. Results significantly supported direct and positive relationships of transformational leadership management on organizational knowledge parts and kind of innovations. Management run their organizational tasks collectively, they provide a motivational support to subordinates in accomplishing the said tasks about future. Prioritizing the objective accomplishment provides a flow of work, mostly in the organizations employees set their tasks according to their preferences like competition, fear of extra cost charges and timely fulfillment of the customer’s demands etc. for the organization. Frequency about training and coaching of the employees from management not properly held in the organizations, because top brass give more intention to achievement of the targets within time in any style of work and also at some extent employees show reluctance to adopt changed way for given target accomplishments. Approximately 24% response of the manager was natural to this item scale. Employees at much amount agreed with the discussion, when they take the decision also consider very deeply about its aftermath, consequences but some management viewed at some extent that, they ignore these considerations such as when there involved political acts, and government acts etc. Mostly in the organizations management keep itself updated with new technology but little organizations which are not risk takers avoid to change status quo in the organization, about 4% disagreed frequency fall in that position. Most of the employees in the organizations have lust of capabilities to achieve the desired objectives but they seek little edge of confidence and inspirations to show of all their abilities. The discussion that held with the management about importance of collective sense of mission, most of the members of organization’s agreed and accepted this attribute. Managers said they try their best to have a complete and defined mission of the organizations and to maximum extent, they succeeded in that aim, but at some extent culture and policies, structure of the organizations hurdled this combined objective. Enterprises at much extent try to be a first mover into to the markets, they distribute suitably employee’s responsibilities in which they could adjust with the market enhancements, and induce different kind of knowledge in the organization. As much structure of the organizations supportive to human asset thoughts for organization, as it will be grow in the markets. Employees bring different sort of knowledge such as new software customization, new audit techniques , new reporting ways and new vouching statistics etc., enterprise also have updated capabilities to implement these applications in the organization framework. 73.7% of individuals, officers, executives from different organizations agreed with this capacity of their organizations. Dissection held with organization individuals weather their assignment, assigned them according to their skills, expertise and professional knowledge, 22.9% disagreed with because in different organization duties are not defined in relation to related knowledge or the individuals. A marketing specialist person positioned in the administration department, and an accounts professional individual positioned in human resource department. To what sector of industry, an organization belongs like some organization are IT based and some or production based some provides services to customers. IT and services based organizations mostly opted at tacit knowledge of the employees that is little tough to written, how they will perform their tasks. As compared to production oriented organization how an individual will perform its duties can be transfer through proper training and mentoring session within the organizations. In our study the major share of the respondents are from manufacturing concern, approximately 28.6% disagreed with this stance of discussion. Discussion held with the executive members about management of the knowledge for different projects that they initiate in the organization such as” extension of production, financing agreements with banks, import and export of goods projects or extension of sales target achievements etc. In the organization, they maintained proper documentation of all these process for the future presentation and assessing the next forecasting of other projects. Varied frequencies came from different organization’s style of work. Some organizations not effectively maintain the records of their projects, they just using internet and with phonic conversations fulfill the projects like IT and services oriented companies. Getting an idea about to what extent within the organizations explicit kind of organizational knowledge sharing (collecting and transferring), approximately 46% ratio of employees agreed with this document sharing to other members and 27% disagreed. Because every department like marketing, procurement, finance and audit has, their own confidentialities that are only are concerned with related departments. In table, 4.2.32 presented the frequencies against getting an idea about tacit knowledge transformation and acquisition among the employees of the organizations. Management, officers and executives during duties and of duties share their experiences of job. Members when perform the group duties in their department share their ideas, information that gained from in handling different issues and in performing other jobs. Experiences and expertise are the tacit form of organizational knowledge it cannot be elaborated in documentations. Working groups in the organization accumulate basic organizational knowledge (explicit and tacit) from different other organizations it may be services sector manufacturing sector of banking where they are already working, and different professional like project managers, finance specialists, analysts , marketing managers etc. They articulate these all information, knowledge like which they adopted there to taking decisions, how they maintained documentations, what mechanism were used there to employ techniques; to other members within organizations because after disseminating this knowledge will give them an initiative to process new ideas and new ways. In course of this discussion from different sectors of organization gave mutual response approximately 58% agreed to employing this technique of sharing knowledge and about 15% disagreed. Careers of the professionals developed through different mistakes, these mistakes increase their experiences in response these experiences lesson their further mistakes, and they get much amount of success from this learning attitude. Executives of the organizations rendered a full support to their employees for collecting and transforming the organizational knowledge to other employees. Because this sharing of knowledge among members will enhance the confidence level of the employees to do work in more sustained way and there will be create a new ideas and policies, which may be more helpful for company objectives. About 71% of the executives from different organizations agreeable accepted this sort of opportunity that provides to employees. When leaders give some free time to their employees to think more than the duties they are performing, insist them to pursue innovative ways for their work; this policy increase the employees recognition towards their job description in response organization’s power creativity also increased. Results are varied for this discussion; some organization employees agreed and oppositely supported this discussion. They individuals not have excess time to think other than the job activities. In our planning lot of project’s accomplishment are in queue and timely accomplishment of these projects necessarily important. 17.5% of participants of our discussion disagreeably opposed our point of view. Mostly in the organizations employees are resistant to change, working teams rely only on already running procedure to solve the problems. Culture of the organizations also not provides an opportunity to employees think differently for their work. Another matter that is concerned with these results i.e. some organizations are not risk taker for any change. 61.4% of individuals agreeable accepted status quo in their organization. Individuals, executives and management members very deeply put concentration on new inventions in the organization. Interviewing different management members about new products introduction rate in the market, 74%participants agreeably respond about their company’s indulgence for innovations. Production, services and banking sector management persuasively take initiatives to make different innovations like introducing new products, going more than the customer’s requirements, and new financing opportunities for their customers etc. Employees uphold our discussion with them about polices, methods and procedures that they employ to present sort of products for their customers are change for each product. They put concentration to adopt new techniques, new statistics and new measures for their organizations competing to market trends. 67.7% agreed with this framework, management viewed they keep their policies newest with market conditions. In the organization when the employees share knowledge with each other, there being created the new inventions among the members and they fulfill their assignments in more productive way. More companies are trying in their working departments this sort of inventive ways to perform the tasks. Weather companies are considered a radical innovation provider to the market. Mostly company’s executives positively participated in this discussion for their innovative initiatives for their customers. Companies highly regarded to produce innovative products for their customers, provide a competitive move and enhance the good-will strength. These innovations take place when employees share their ideas and skill with each other and companies transfer a good investment R&D sector of organization. Approximately sixty share of percentage came positive for the organizations that used this framework for innovation and regarded as a best provider of unique ideas in the market. Leaders feed intellectually, provide a personal consideration to their subordinates and create a knowledge sharing capacity with their colleagues and teams. Study, results not showed association of intellectual stimulation with knowledge sharing capacity of the employees in the organization. This association not positively correlated because there is a lack of trust among employees to share information, skills and expertise. Mostly organization not set proper reward compensations for employees that are directly tied to cooperation and sharing of knowledge. Also in the organizations, there is not provided the interactive learning environment for employees and not analyzed them how much they are involved and immersed with the assigned projects to meet prioritized needs. Management not exactly states the expectations of sharing and dissemination of personal knowledge with other members. Some organizations have week technological updates for storing the organizational knowledge in other forms. Leaders must bring the changes in the organizations, provide individual consideration to their employees and find out their lagging aspects of the work. Leaders present an inspirational edge among the followers to get results more than the setlines by delineating vision of responsibilities. Management evolves the confidence in their employees to think more than possible solution of the issues. To achieve and maintain high standard of the products quality and to meet the market demands there must be combined set of objectives. Executive provide a personalization and individual consideration to the followers to enhance the power of strengths and capabilities. Working in the groups articulate helped to individual in enhancing the existing knowledge. During work performance merger of knowledge among the staff members originates new solutions, ideas and increase the power of knowledge. Clearly defined position, activities and responsibilities of the employees tracked them toward new era of knowledge effectiveness. Effective and timely employment of the new knowledge provides an opportunity for organization to get a new long lasting framework. Responsibilities should be assigned with the professional knowledge of the employees. Policies and procedures to perform duties should be properly presented to individual before starting the duties. All brands of projects that company going to start or working on to made initiation for these project must be maintain proper log of documentation at every step. Frequently sharing and collecting of existing reports within the members provide a help for enhancing the knowledge of all organization members. All level of employees of the organizations frequently share their information, expertise and skills to other members that they have gained through different experiences. Collecting and transformation of existing knowledge among other individuals the organization provide facilitation to generate new knowledge. Top executives of the organizations several of time should support a mechanism of knowledge sharing within organizations. Management gives free time to their employees to pursue novice ideas for the organization relating to their skills, expertise and knowledge. Leaders develop their employees in a way in which they can create new invention of task accomplishments. Implementation of new policies and structures lead organization towards innovation. Chief executives and decision-making authorities invest on product development activities. Organizations should enhance their innovation capabilities and lead their products with novice ideas for the customers and in related markets. Management requires creating a trust among the individuals and peers relationships, to work collaboratively for achievement of tasks. Sharing of knowledge, expertise and skills or any kind of value information among other colleagues must be properly rewarded to enhance this sharing capacity of the employees. How much individuals and teams indulged are interestedly accomplishing the said tasks, systematically analyzed. Organizations invest money to employ latest technology for best storage of organizational knowledge. What new techniques came into the market, leaders should introduce it in the company and define its importance to accomplish the tasks. Employees would have the freedom of expressions and must being appreciated when they bring any new way of accomplishing the task. Management would build a friendly environment for their followers in which they could act and perform their duties more confidently. A combined mission for the whole organization can be achieved by employing a SMART technique of specific, measurable, attainable, realistic and timely achievable setting the objectives for the company. Management pay proper concentration to follower’s needs and concerns, express word of appreciations even for the little achievements, give them individually congratulation notes to heighten the confidence, made a fair tasks distribution among all and provide them proper mentoring and counseling of career achievements. Colleagues share their information, skills and other ways, which strengthens the individual capabilities to do work more than innovative way. Enterprises more depends on teamwork and collective knowledge, knowledge is the only handful of individuals, which they can hold their peers and bosses to ransom. Employees would combine their knowledge within the teams it defines the new tracks to do work. An individual who perform tasks in the marketing department, organization also provide him or her access to employ marketing gimmicks that he owned from the market. For financial sector, provide them a motivation to raise skills according to market conditions. Organization capability to utilize new generated knowledge completely consisted on how much IT department updated, to what extent management take into consideration for new acquired knowledge, is the already developed policies are flexible or supportive to implement new techniques of market. Human resource department in the organization is backbone in utilization of human asset activities. The department made hiring, recruiting and assignment of the responsibilities. Proper functions definition enhances the employee’s career for the organization. Orientation, training and mentoring session for employees arranged with the passage of time to enhance the existing and new knowledge of the individuals. Proper files should be maintain for each copy of the documents relating to agreements, project and extensions etc. Because within company when any executive or management level employee left his or her job and move to other place, then the new hired representative for that seat can get the idea about all projects after viewing all these files also it will be helpful for starting new plan of work in the organization. In this fast moving economy, organizations all time keep up to date to face all that changes take places in the markets and merge itself into the new techniques. Today organization prepared their employees multi-functional for fulfilling all brand of tasks and the management share and involve all member in different tasks for the organization using job enlargement and job rotation techniques. If there causes any problem to resolve any issue among the team members, all members of the team employ their experiences to handle that issue, they express it within the whole team without treating any sort of reluctance and jealous factor i.e. if I share this knowledge to other members it may demote me after gaining this skill. Individuals think the techniques and style of work they were using in the past fields is better than these organizations must utilize it in their current fields and leaders provide them a facilitation, support and confidence to implement these approaches. Management weekly or monthly assign tasks to their employees that should be based on some kind of projects for generating a new idea like a project on cost analysis in which individuals create the ways to minimize unit cost of the products. Same as variance analysis based projects or what best ways should to adopt to report all history of the day about work for directors etc. The research gathers the knowledge about how transformational leaders utilize their attributes according to organizational knowledge dissemination requirements in the subordinates. 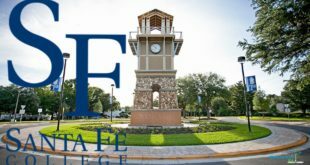 Such as which individual required individual consideration to acquire new knowledge, and how this acquisition of knowledge utilizing a motivational aspect will participating a contribution towards thinking new ideas, knowledge, creativity and enhancements in work teams, employees and whole organization structure. It enhance a literature on transformational leadership style and on organizational innovation capability by considering knowledge utilization, and present a picture of effective transformational leadership models within the organizations. Abramson, M. A., & Littman, I. D. (2002). «What Do We Know About Innovation?». Mark A.
Al-Alawi, A. I., Al-Marzooqi, N. Y., & Mohammed, Y. F. (2007). Organizational culture and knowledge sharing: critical success factors. Journal of Knowledge Management, 11(2), 22-42. Alegre, J., & Chiva, R. (2008). Assessing the impact of organizational learning capability on product innovation performance: An empirical test. Technovation, 28(6), 315-326. Andreeva, T., & Kianto, A. (2011). Knowledge processes, knowledge-intensity and innovation: a moderated mediation analysis. Journal of Knowledge Management, 15(6), 1016-1034. Annique, C. (2007). Managing the innovators for exploration and exploitation. Journal of Technology Management & Innovation(003), 4-20. Antonakis, J., Avolio, B. J., & Sivasubramaniam, N. (2003). Context and leadership: An examination of the nine-factor full-range leadership theory using the Multifactor Leadership Questionnaire. The Leadership Quarterly, 14(3), 261-295. Barbuto, J. E. (2005). Motivation and transactional, charismatic, and transformational leadership: A test of antecedents. Journal of Leadership & Organizational Studies, 11(4), 26-40. Bayode, B. (2008). Analysis of organizational leadership: A phenomenological study of organizational leaders in the private sector in Nigeria: ProQuest. Berson, Y., & Avolio, B. J. (2004). Transformational leadership and the dissemination of organizational goals: A case study of a telecommunication firm. The Leadership Quarterly, 15(5), 625-646. Bertocci, D. I., & Bertocci, D. L. (2009). Leadership in organizations: There is a difference between leaders and managers: Univ Pr of Amer. Bryman, A. (2011). The SAGE handbook of leadership: Sage Publications Ltd.
Cabrera, E. F., & Cabrera, A. (2005). Fostering knowledge sharing through people management practices. The International Journal of Human Resource Management, 16(5), 720-735. Carbonell, P., & Rodriguez, A. I. (2006). The impact of market characteristics and innovation speed on perceptions of positional advantage and new product performance. International Journal of Research in Marketing, 23(1), 1-12. Chennamaneni, A. (2007). Determinants of knowledge sharing behaviors: developing and testing an integrated theoretical model. Crawford, C. (2005). Effects of transformational leadership and organizational position on knowledge management. Journal of Knowledge Management, 9(6), 6-16. Daft, R. L. (2009). Management: South-Western Pub. David, W., Long, D., & Fahey, L. (2000). Diagnosing cultural barriers to knowledge management. The Academy of Management Executive (1993-2005), 113-127. De Dreu, C. K. W., & West, M. A. (2001). Minority dissent and team innovation: The importance of participation in decision making. Journal of applied psychology, 86(6), 1191. De Jong, J. P. J., & Den Hartog, D. N. (2007). How leaders influence employees’ innovative behaviour. European Journal of Innovation Management, 10(1), 41-64. De Vries, R. E., Van den Hooff, B., & de Ridder, J. A. (2006). Explaining knowledge sharing. Communication Research, 33(2), 115-135. Drucker, P. F. (2006). 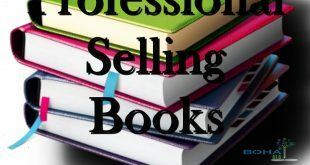 Innovation and entrepreneurship: Harper Paperbacks. Du Plessis, M. (2007). The role of knowledge management in innovation. Journal of Knowledge Management, 11(4), 20-29. Dundon, E. (2002). The seeds of innovation: cultivating the synergy that fosters new ideas: Amacom Books. Eardley, A., & Uden, L. (2010). Innovative Knowledge Management: Concepts for Organizational Creativity and Collaborative Design: Information Science Reference. Edquist, C., Hommen, L., & McKelvey, M. D. (2001). Innovation and employment: Process versus product innovation: Edward Elgar Pub. Eisenbeiss, S. A., Van Knippenberg, D., & Boerner, S. (2008). Transformational leadership and team innovation: Integrating team climate principles. Journal of applied psychology, 93(6), 1438. Ellis, M. J. (2007). The bilateral dimensions of transformational leadership in selected university constituents: An empirical study within the context of institutions of higher education: ProQuest. Esterhuizen, D., Schutte, C., & du Toit, A. (2011). Knowledge creation processes as critical enablers for innovation. International Journal of Information Management. EUROSTAT, & Luxembourg. (2005). The Measurement of Scientific and Technological Activities Oslo Manual: Guidelines for Collecting and Interpreting Innovation Data: Publications de l’OCDE. Fagerberg, J., Mowery, D. C., & Nelson, R. R. (2006). The Oxford handbook of innovation: Oxford University Press, USA. Frazier, A. W. (2006). Perceptions of leadership in financial services: An investigation into the ethical components of transformational leadership: ProQuest. García-Morales, V. J., Jiménez-Barrionuevo, M. M., & Gutiérrez-Gutiérrez, L. (2011). Transformational leadership influence on organizational performance through organizational learning and innovation. Journal of Business Research. García‐Morales, V. J., Lloréns‐Montes, F. J., & Verdú‐Jover, A. J. (2008). The Effects of Transformational Leadership on Organizational Performance through Knowledge and Innovation*. British Journal of Management, 19(4), 299-319. George, M. L., Works, J., & Watson-Hemphill, K. (2005). Fast innovation. Gloet, M., & Terziovski, M. (2004). Exploring the relationship between knowledge management practices and innovation performance. Journal of Manufacturing Technology Management, 15(5), 402-409. Gumusluoglu, L., & Ilsev, A. (2009). Transformational leadership, creativity, and organizational innovation. Journal of Business Research, 62(4), 461-473. Gumusluoğlu, L., & Ilsev, A. (2009). Transformational Leadership and Organizational Innovation: The Roles of Internal and External Support for Innovation*. Journal of Product Innovation Management, 26(3), 264-277. Gupta, A. K., & Govindarajan, V. (2000). Knowledge management’s social dimension: lessons from Nucor Steel. Sloan Management Review, 42(1), 71-80. Harlow, H. (2008). The effect of tacit knowledge on firm performance. Journal of Knowledge Management, 12(1), 148-163. Herrmann, A., Gassmann, O., & Eisert, U. (2007). An empirical study of the antecedents for radical product innovations and capabilities for transformation. Journal of Engineering and Technology Management, 24(1), 92-120. Howell, K. E., & Annansingh, F. (2012). Knowledge generation and sharing in UK universities: A tale of two cultures? International Journal of Information Management. Jain, N. (2005). Organisational BehaviourVo. 1 (Vol. 1): Atlantic Publishers & Dist. Jennex, M. E. (2007). Knowledge management in modern organizations: IGI Global. Jolly, A. (2003). Innovation: harnessing creativity for business growth: Kogan Page Publishers. Jung, D. I., Chow, C., & Wu, A. (2003). The role of transformational leadership in enhancing organizational innovation: Hypotheses and some preliminary findings. The Leadership Quarterly, 14(4), 525-544. Kamasak, R., & Bulutlar, F. (2010). The influence of knowledge sharing on innovation. European Business Review, 22(3), 306-317. Kelley, D. J., O’Connor, G. C., Neck, H., & Peters, L. (2011). Building an organizational capability for radical innovation: The direct managerial role. 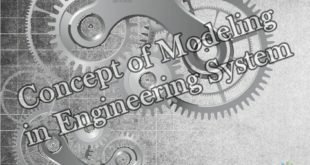 Journal of Engineering and Technology Management. Kelloway, E. K., & Barling, J. (2000). Knowledge work as organizational behavior. International journal of management reviews, 2(3), 287-304. Kok, R. A. W., & Biemans, W. G. (2009). Creating a market-oriented product innovation process: A contingency approach. Technovation, 29(8), 517-526. Kotler, P. (2010). Principles Of Marketing: A South Asian Perspective, 13/E: Pearson Education India. Leistner, F. (2010). Mastering organizational knowledge flow: How to make knowledge sharing Work (Vol. 26): Wiley. Leskovar-Spacapan, G., & Bastic, M. (2007). Differences in organizations’ innovation capability in transition economy: Internal aspect of the organizations’ strategic orientation. Technovation, 27(9), 533-546. Lin, H. F. (2007). Knowledge sharing and firm innovation capability: an empirical study. International Journal of Manpower, 28(3/4), 315-332. Liu, Y., & Phillips, J. S. (2011). Examining the antecedents of knowledge sharing in facilitating team innovativeness from a multilevel perspective. International Journal of Information Management, 31(1), 44-52. Locke, E. A. (1999). The essence of leadership: The four keys to leading successfully: Lexington Books. Lussier, R. N., & Achua, C. F. (2009). Leadership: Theory, application, & skill development: South-Western Pub. Nguyen, H. N., & Mohamed, S. (2011). Leadership behaviors, organizational culture and knowledge management practices: An empirical investigation. Journal of Management Development, 30(2), 206-221. Nonaka, I., & Takeuchi, H. (1995). The knowledge-creating company: How Japanese companies create the dynamics of innovation: Oxford University Press, USA. O’Sullivan, K. (2007). Strategic knowledge management in multinational organizations: Information Science Publishing. Osborn, R. N., & Marion, R. (2009). Contextual leadership, transformational leadership and the performance of international innovation seeking alliances. The Leadership Quarterly, 20(2), 191-206. Paulsen, N., Maldonado, D., Callan, V. J., & Ayoko, O. (2009). Charismatic leadership, change and innovation in an R&D organization. Journal of Organizational Change Management, 22(5), 511-523. Politis, J. D. (2002). Transformational and transactional leadership enabling (disabling) knowledge acquisition of self-managed teams: the consequences for performance. Leadership & Organization Development Journal, 23(4), 186-197. Porter, L. W., Angle, H. L., & Allen, R. W. (2003). Organizational influence processes: ME Sharpe Inc.
Robbins Stephen, P. (2005). Essentials of organizational behavior: Prentice Hall. Roos, J., & Von Krogh, G. (1992). Figuring out your competence configuration. European Management Journal, 10(4), 422-427. Schmitz, L. (2011). Knowledge Sharing: How Do People Share Information in Companies and what are Communities of Practice? : GRIN Verlag. Shao, Z., Feng, Y., & Liu, L. (2012). The mediating effect of organizational culture and knowledge sharing on transformational leadership and Enterprise Resource Planning systems success: An empirical study in China. Computers in Human Behavior. Shavinina, L. V. (2003). The international handbook on innovation: A Pergamon Title. Simola, S. K., Barling, J., & Turner, N. (2010). Transformational leadership and leader moral orientation: Contrasting an ethic of justice and an ethic of care. The Leadership Quarterly, 21(1), 179-188. Singh, S. K. (2008). Role of leadership in knowledge management: a study. Journal of Knowledge Management, 12(4), 3-15. Smith, E. A. (2001). The role of tacit and explicit knowledge in the workplace. Journal of Knowledge Management, 5(4), 311-321. Solea, D. L., & Applegateb, L. M. Beyond Knowledge Transfer: A Typology of Knowledge Sharing Behavior in Virtual Teams. Suppiah, V., & Sandhu, M. S. (2011). Organisational culture’s influence on tacit knowledge-sharing behaviour. Journal of Knowledge Management, 15(3), 462-477. Un, C. A. (2010). An empirical multi-level analysis for achieving balance between incremental and radical innovations. Journal of Engineering and Technology Management, 27(1), 1-19. Vuori, V., & Okkonen, J. (2012). Knowledge sharing motivational factors of using an intra-organizational social media platform. Journal of Knowledge Management, 16(4), 592-603. Wang, Z., & Wang, N. (2012). Knowledge sharing, innovation and firm performance. Expert Systems with Applications. Xu, J., & Quaddus, M. (2011). Examining a model of knowledge management systems adoption and diffusion: A Partial Least Square approach. Knowledge-Based Systems. Yang, J. (2007). The impact of knowledge sharing on organizational learning and effectiveness. Journal of Knowledge Management, 11(2), 83-90. Yang, J. (2008). Individual attitudes and organisational knowledge sharing. Tourism Management, 29(2), 345-353. Yang, J. T. (2007). Knowledge sharing: Investigating appropriate leadership roles and collaborative culture. Tourism Management, 28(2), 530-543. Yeh, Y., & Chen, Y. H. (2012). From knowledge sharing to knowledge creation: A blended knowledge-management model for improving university students’ creativity. Thinking Skills and Creativity. Zboralski, K. (2009). Antecedents of knowledge sharing in communities of practice. Journal of Knowledge Management, 13(3), 90-101. Zhang, A. Y., Tsui, A. S., & Wang, D. X. (2011). Leadership behaviors and group creativity in Chinese organizations: The role of group processes. The Leadership Quarterly. Zhou, K. Z., Brown, J. R., & Dev, C. S. (2009). Market orientation, competitive advantage, and performance: A demand-based perspective. Journal of business research, 62(11), 1063-1070.